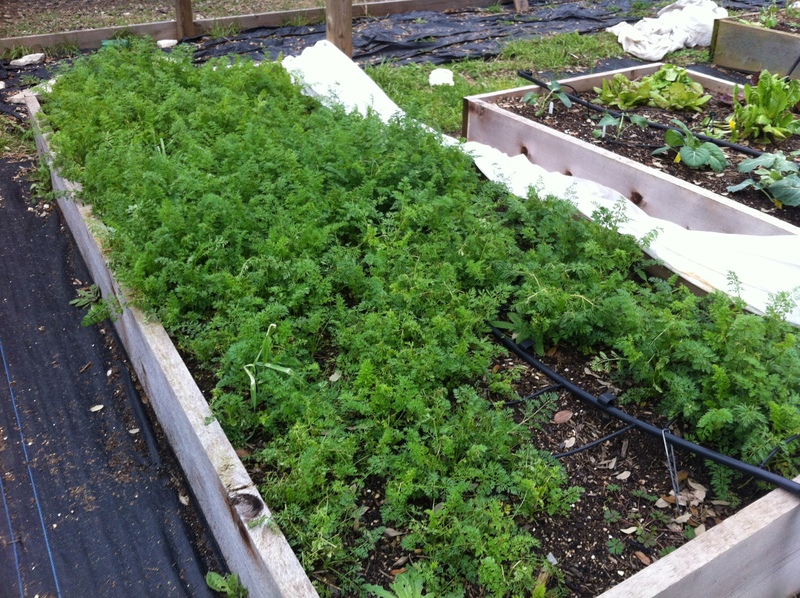 We’ve been eating carrots for month, from one of the garden beds, but with the weather warming up, I needed the space. 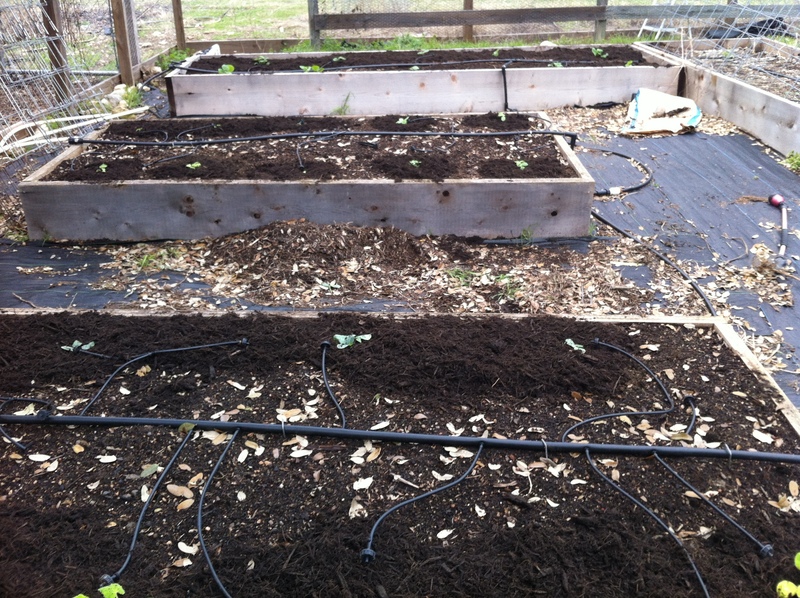 This past weekend I planted my second bed of okra so that carrots had to come up. 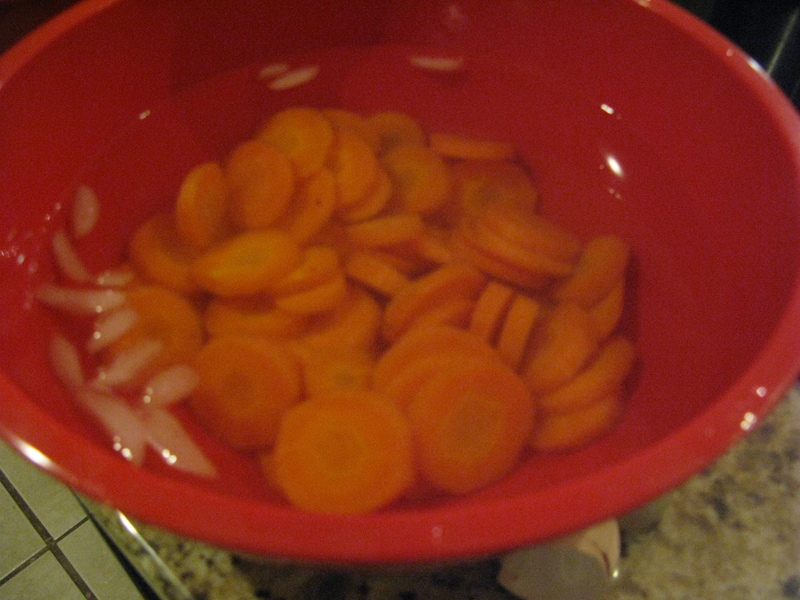 I filled an entire refrigerator drawer with carrots. 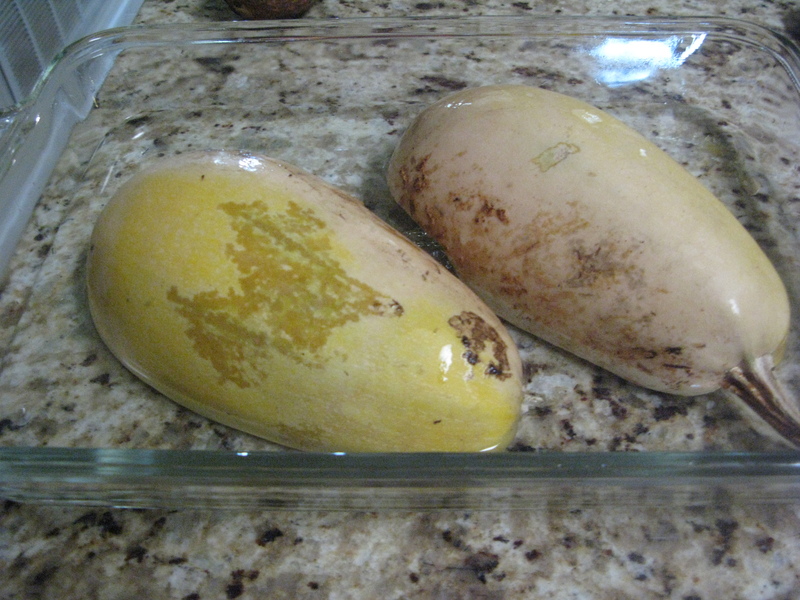 I tore off the tops, brushed (not washed) the dirt off and stored them until I had time to freeze, which was last night. 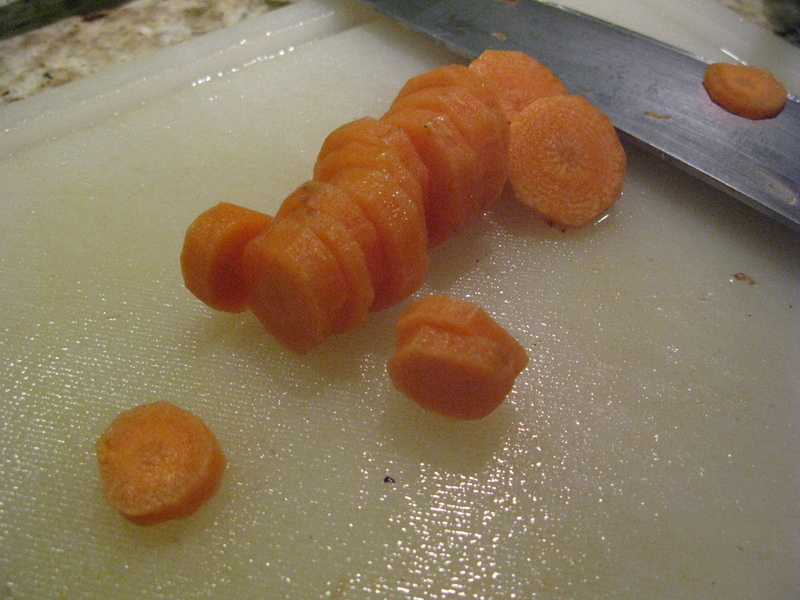 Wash, Peel and Slice the carrots. 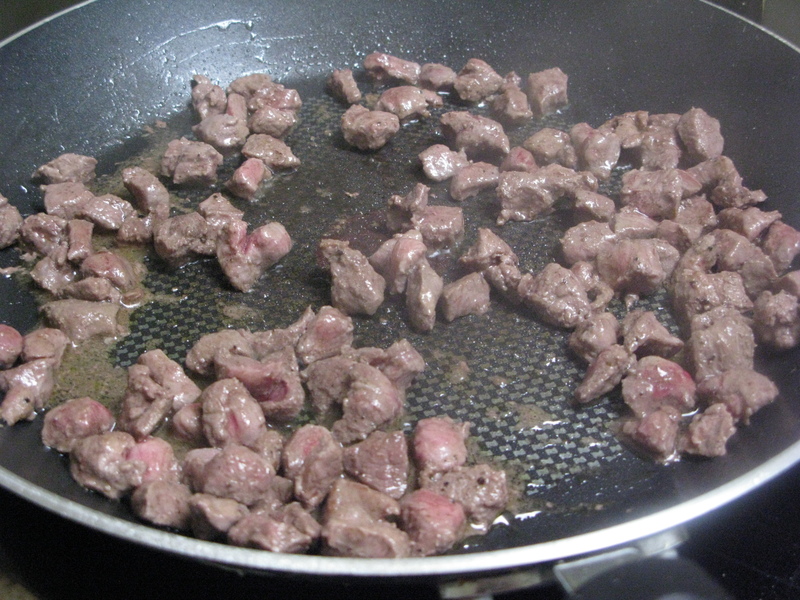 You could also chop or dice. Seal in food saver bags. 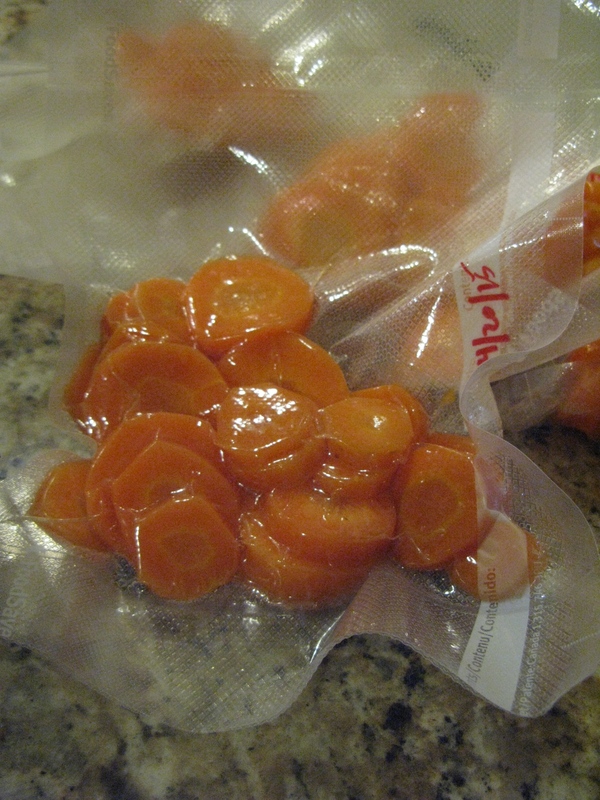 You can use other freezer bags, but I have found veggies really do best with a very tight seal. 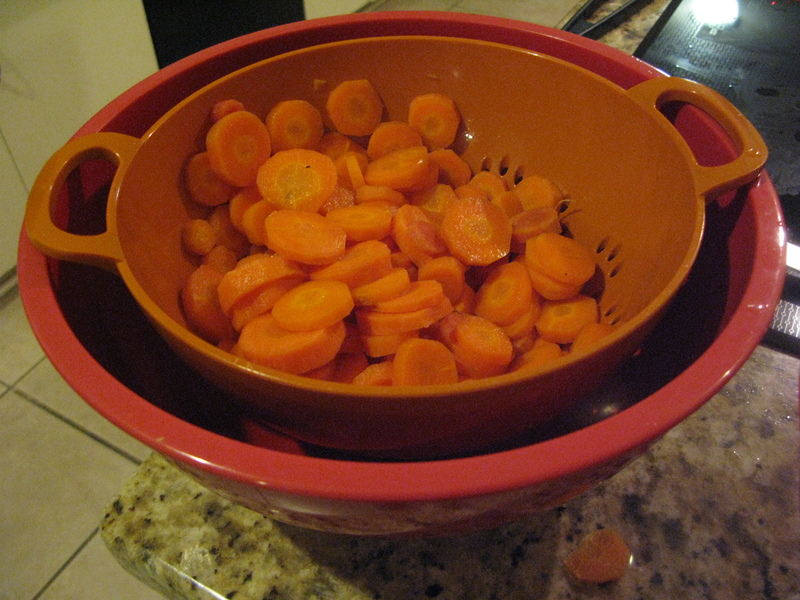 I managed to get 9 sets of carrots. 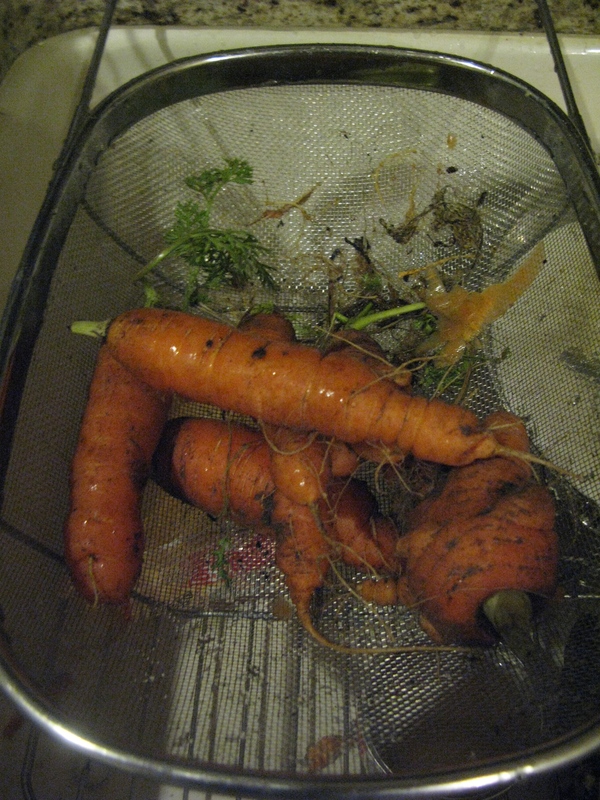 I still have about half a drawer full of carrots. 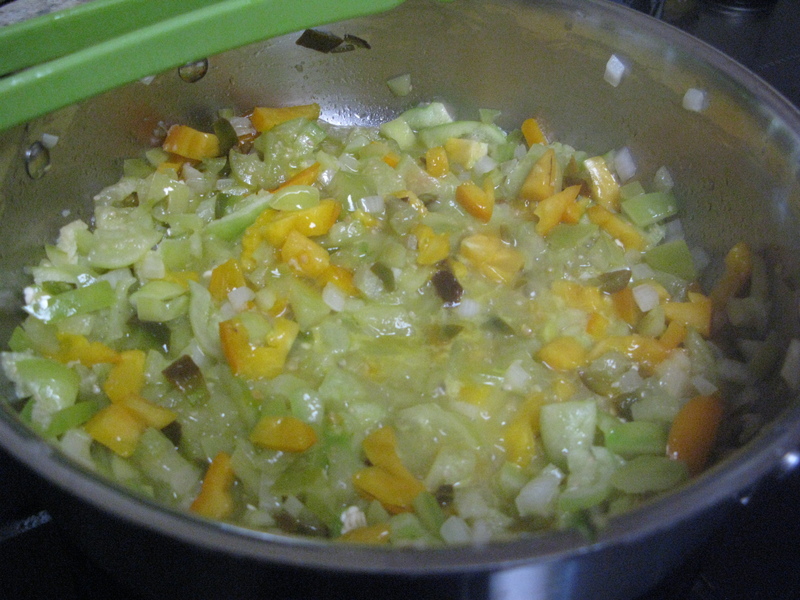 I decided to freeze all of the larger ones, and leave the smaller, more tender carrots for eating raw. 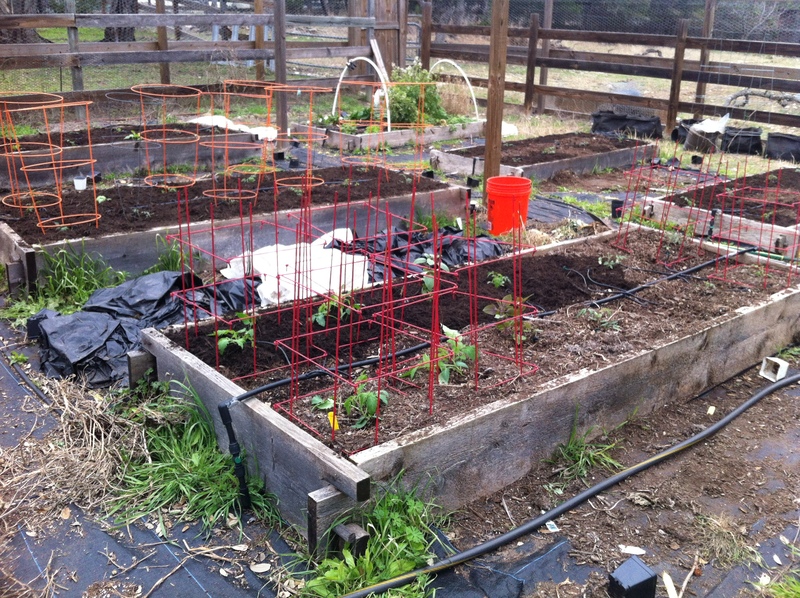 Most years I have already planted the tomatoes by now, but this spring has been very cold, and even this week is pushing it. 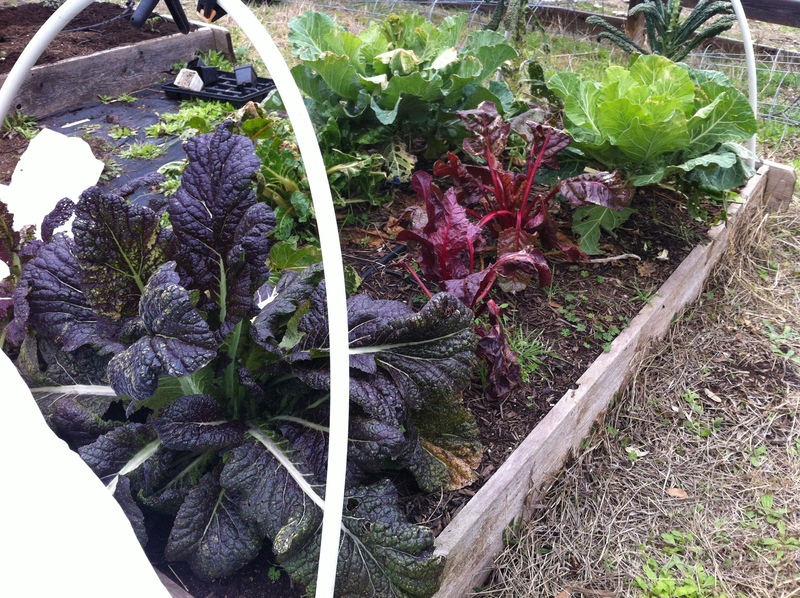 The weather is predicted to be mid 30s and windy Wednesday night, but the veggies were getting too big, and had to go outside. 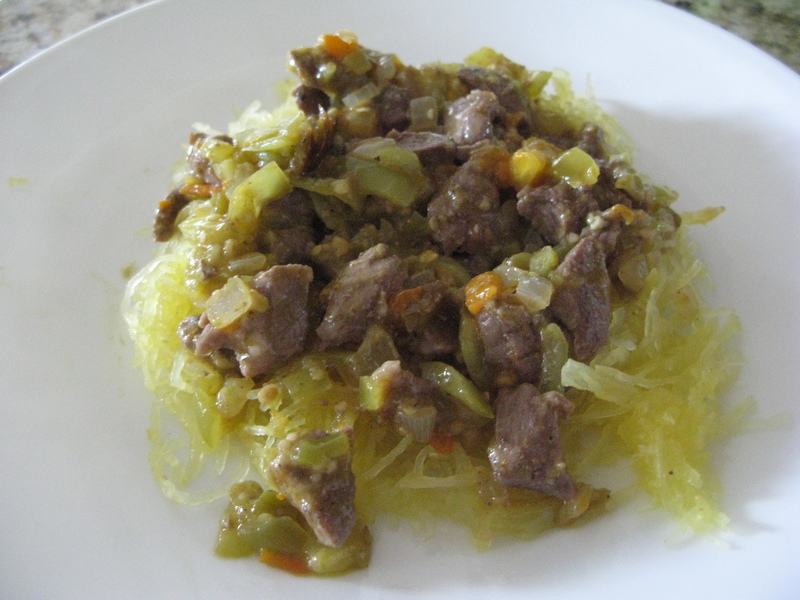 I will be putting row cover over everything on Tuesday night. This year I up-ed the tomatoes to 46. 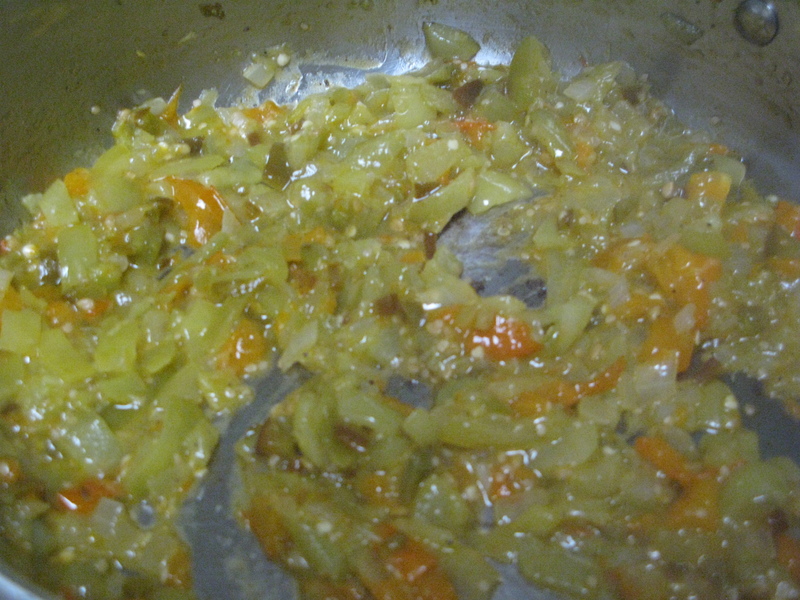 One major change, is that I decided to forgo Romas this year in favor of Juliets. 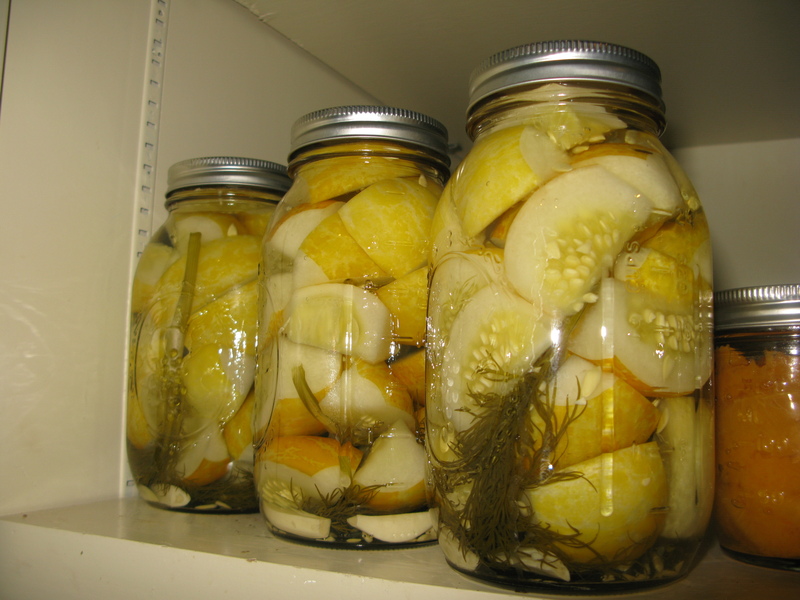 I did a few of these last year, and found the production was much better, the flavor just as good, and they serve the same function as far as canning/sauces etc. When starting seedlings I couldn’t find a sharpie, so told myself that I would mark the tomatoes later. 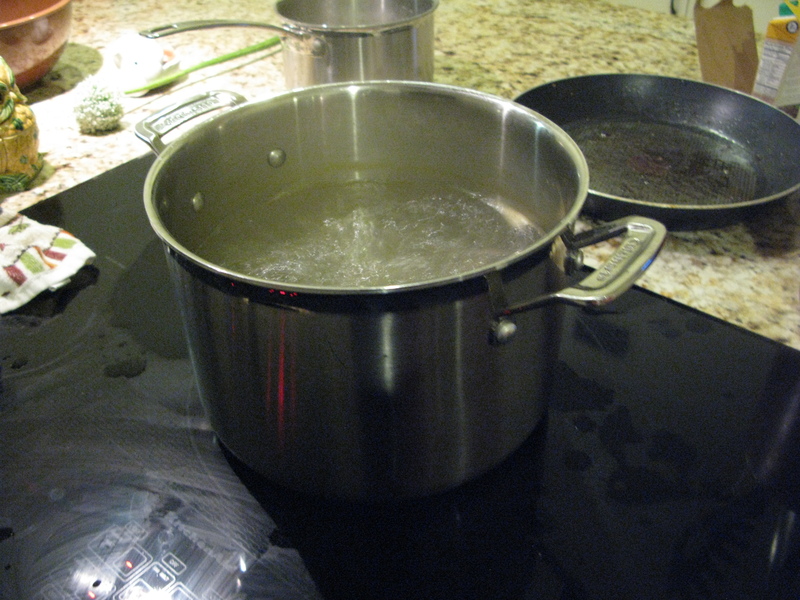 Well later came and went and I forgot all about it. Needless to say, I have no idea which tomatoes are which, guess we’ll find out in a few months. 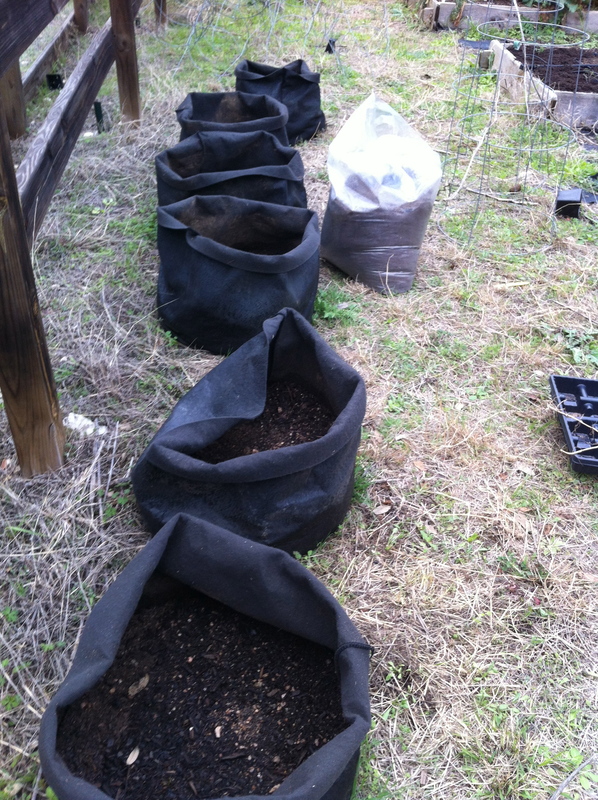 I planted 13 squash, 5 tatume, 5 zucchini, 3 scallop. I planted 10 cucs. 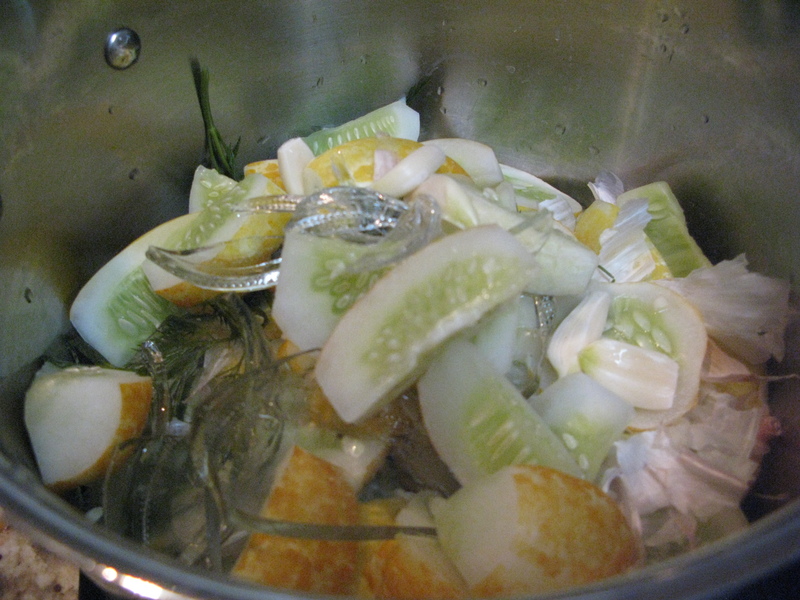 2 gerkins, 2 lemon, 2 white, 2 straight 8 and 2 parisian pickling. 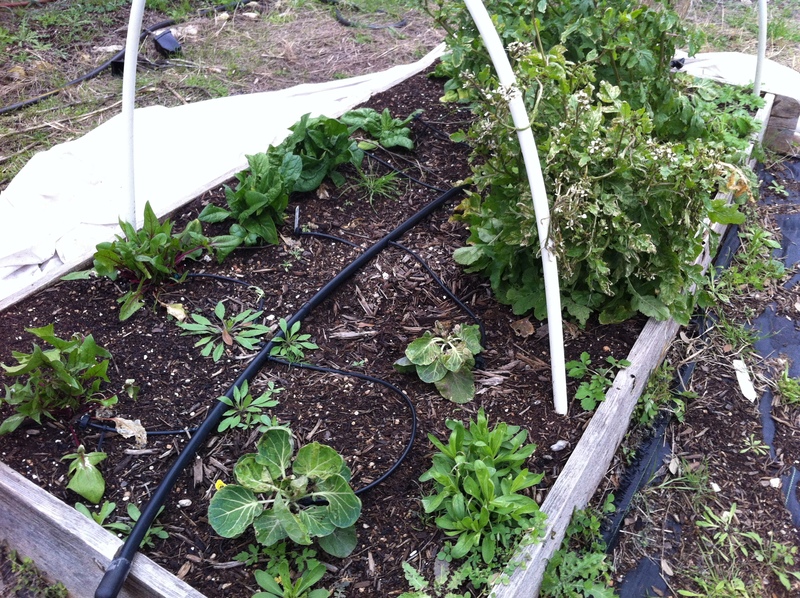 Potato bags, The green all froze, so I’m hoping they are still alive down there. 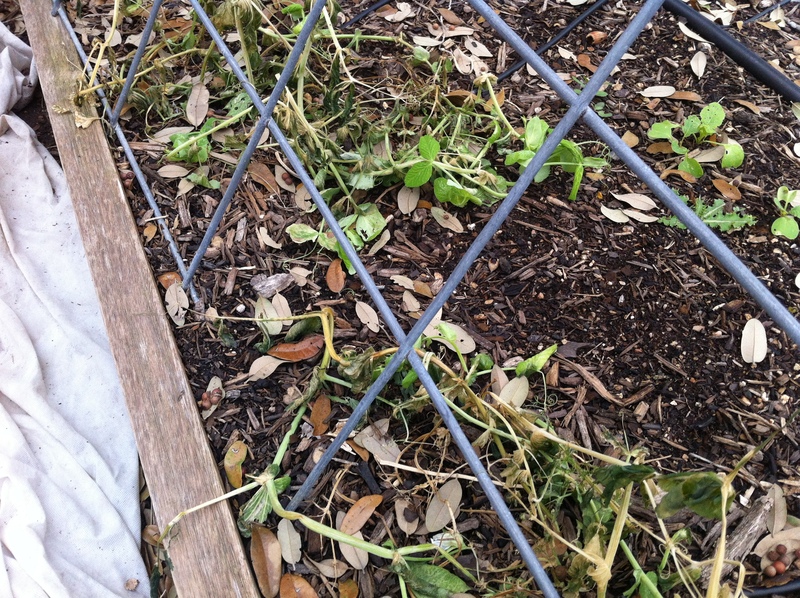 1 bed that was snap-peas. I babied them all winter and they were finally starting to flower when we got another cold snap. 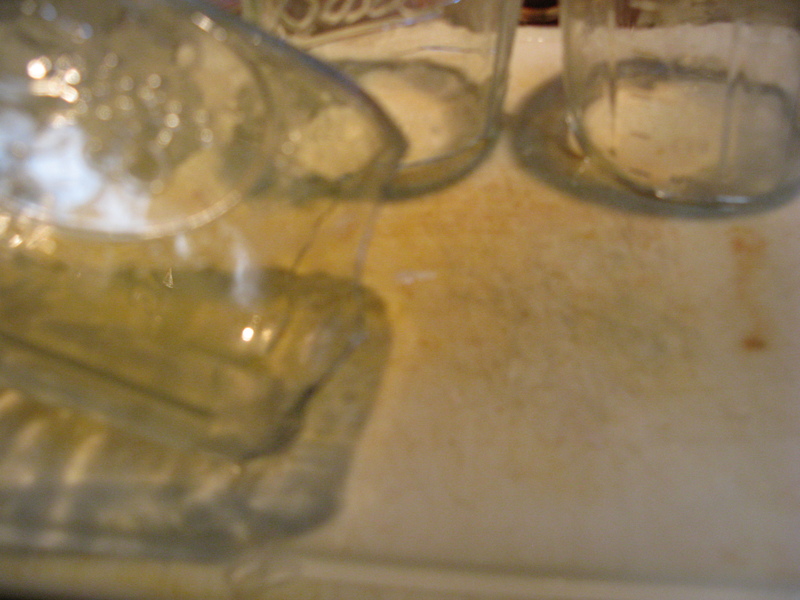 I had them covered, but I think there was a hole in the row cover, since the next morning they looked like this. 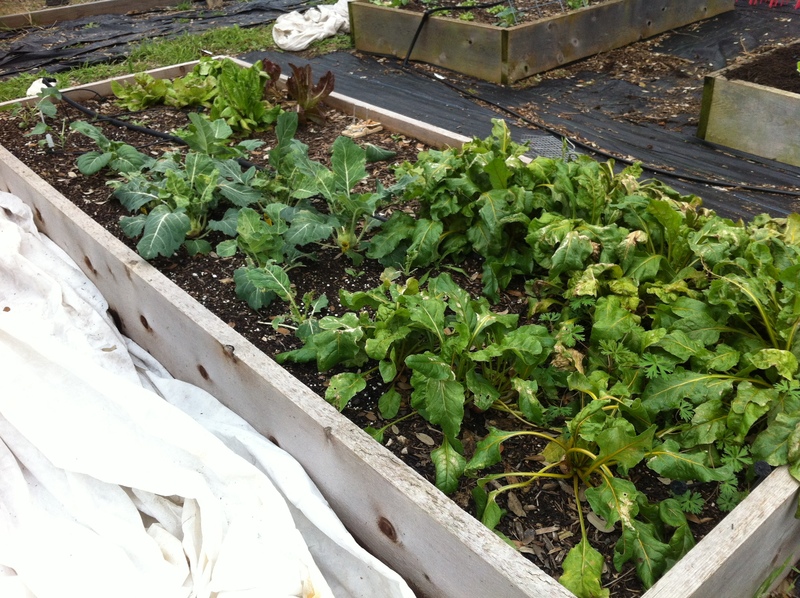 In all, I planted 8 new beds today. 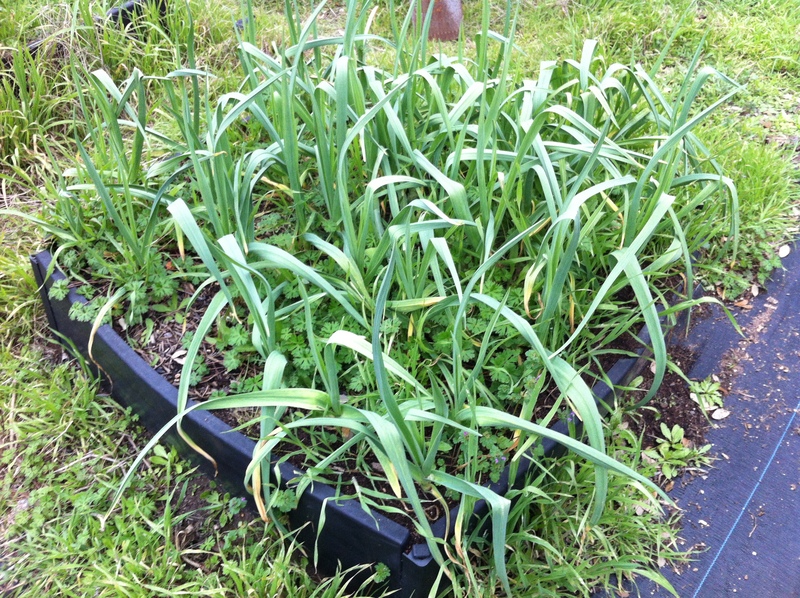 The cool thing, is that I didn’t have to buy compost for any of them. 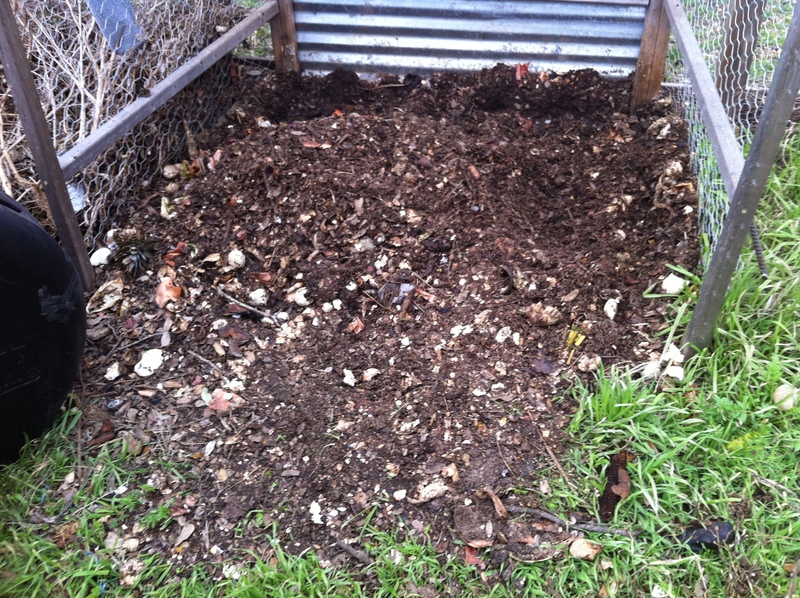 I was able to use compost from the pile I’ve been working on. This is the first spring I’ve been able to say that. 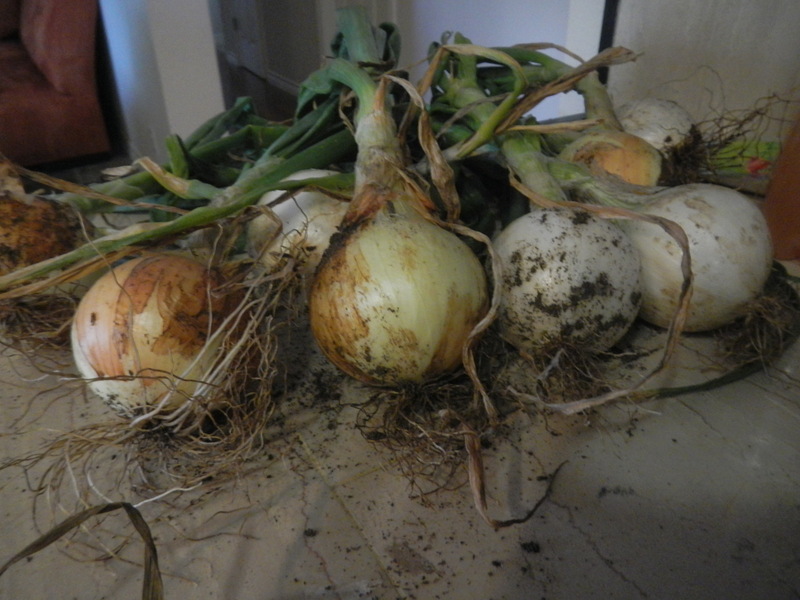 The onion tops were starting to wilt and falling over, so it was time to harvest. 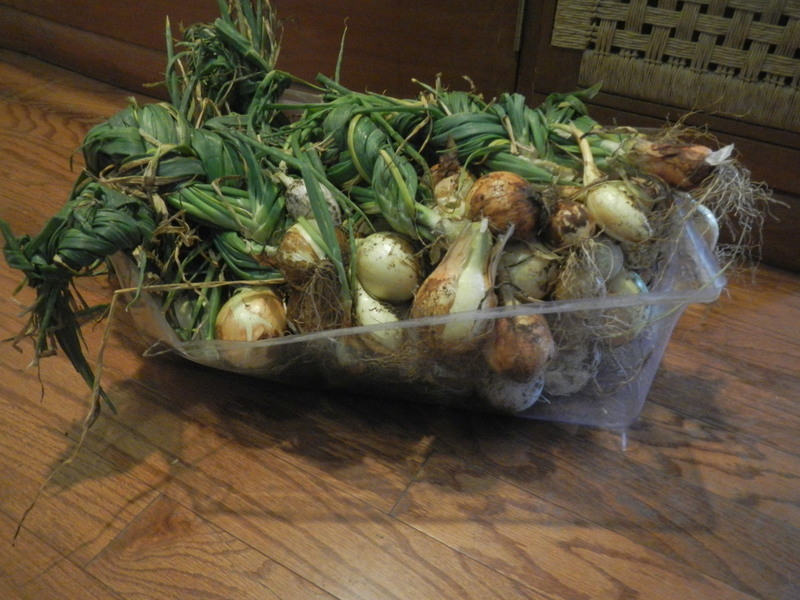 I have more onions this year than I’ve ever had and so I decided to try curing, which can extend the life of the onions/garlic for up to 6 months. 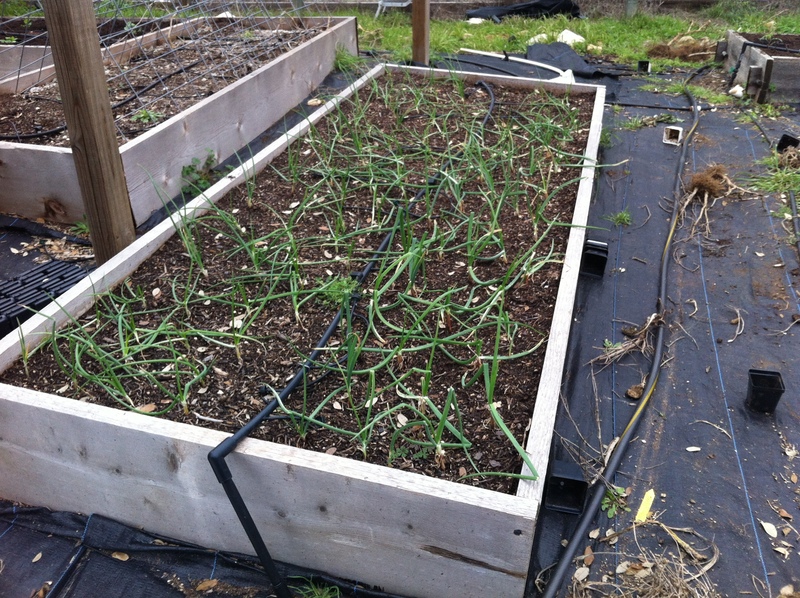 Pull the onions and garlic from the beds and lay them out in the sun for 1 day. I made sure to wait until today to give time for the soil to dry out a bit from our rain last weekend. 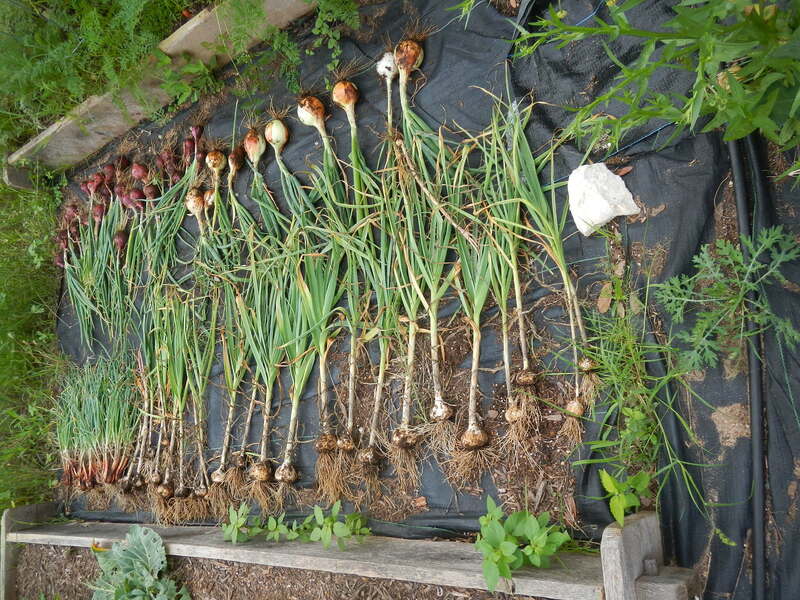 Hang the onions in a shady location where they get air circulation. I hung these under the front and back eaves. 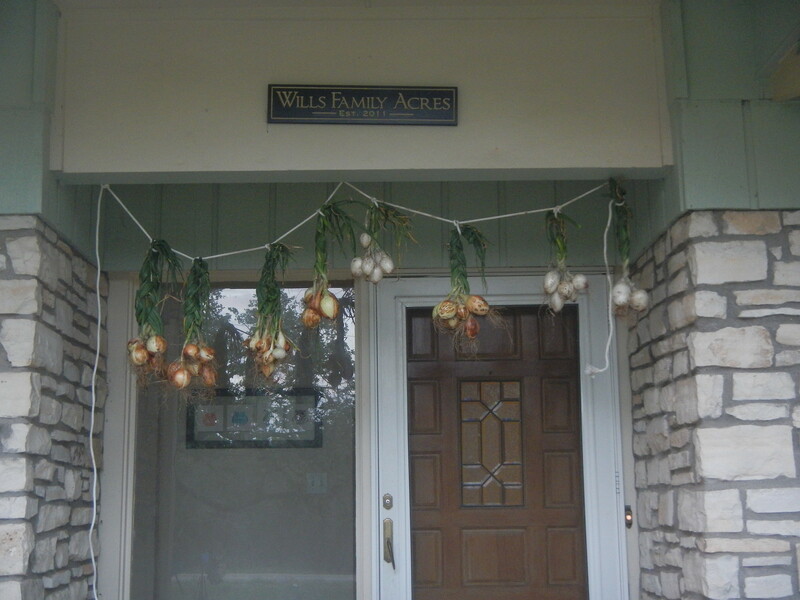 My husband didn’t seem to happy about the string of onions at the front door, but we borderline live in the country, so why not. 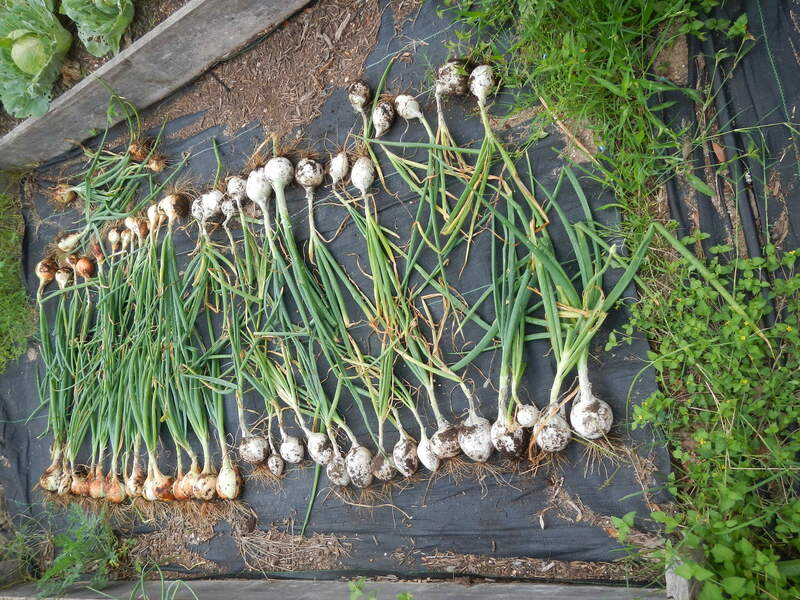 Lay out the garlic in a shady location. 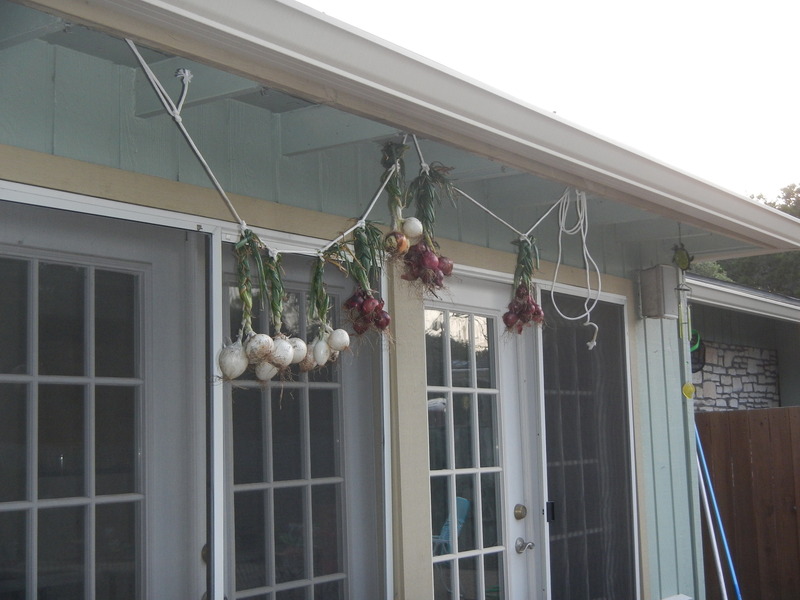 The garlic can be hung like the onions and vice-versa. 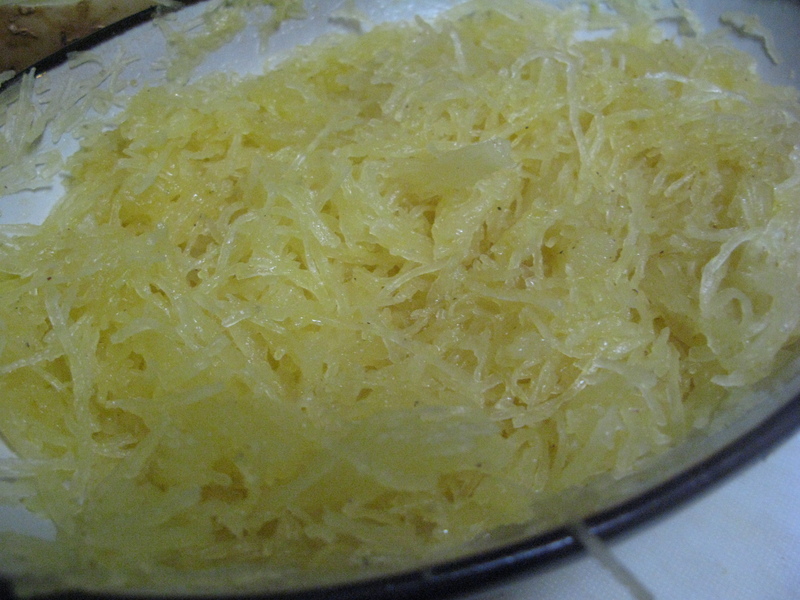 Since I had less garlic I chose this option. 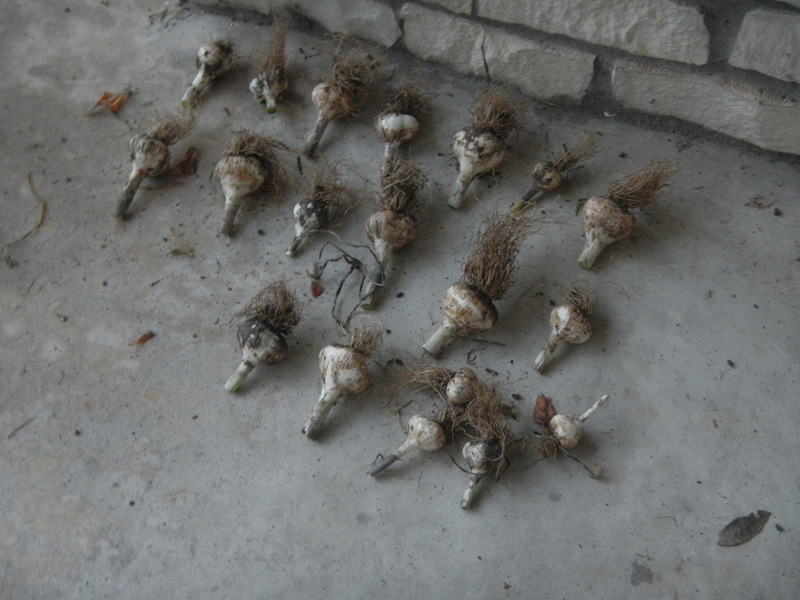 I am now supposed to leave these for 2-3 weeks if the temperature is 80. Since we will be at 90-95 it will probably take 1-2 weeks. I’ll update my progress.